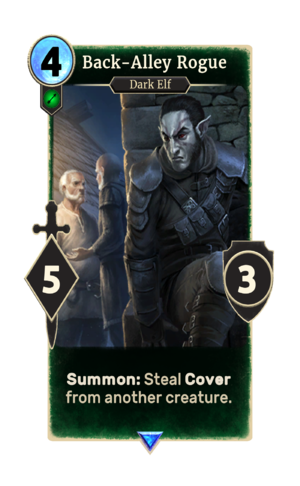 Summon: Steal Cover from another creature. Back-Alley Rogue is a rare Agility creature card. It is part of the Clockwork City story set. "That's worth knowing, now isn't it?" This page was last modified on 27 February 2019, at 23:47.